Distilling is back in Kalamazoo after a 150 year absence. And we couldn’t be happier. 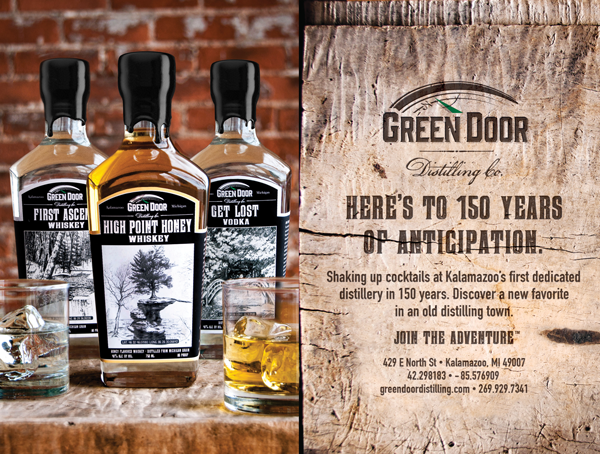 Black Lab Five has had the honor of working with Green Door Distilling Co. on the identity of their brand. We love what they are doing and we think you will too. Stop by their place and raise a glass to your new favorite hang out. Green Door.